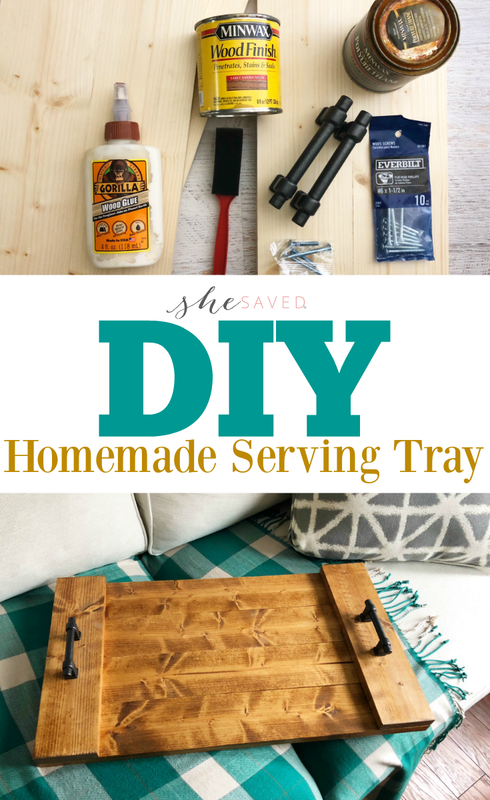 Homemade gifts are the very best, and this DIY Farmhouse Serving Tray project that’s not only easy, it’s affordable and fun to make! I also love that it’s also a very practical gift and would be appreciated by just about anyone. This project might also be a fun one to do with tweens or teens as it’s simple and introduces some basic crafting skills and techniques. 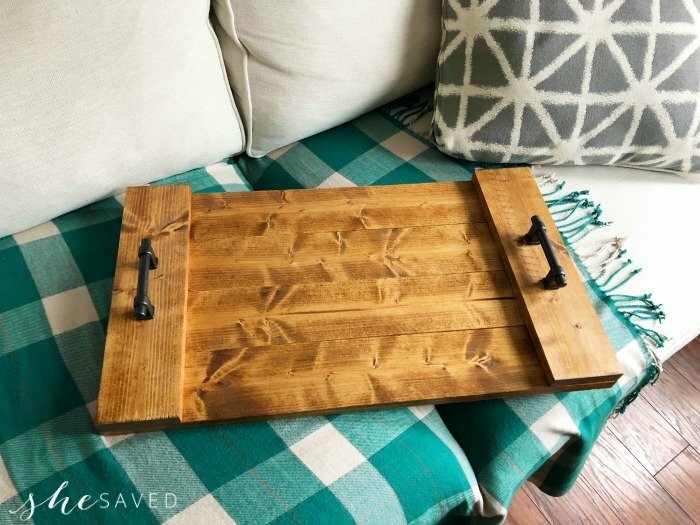 If you don’t want to build your tray, you could also make this same tray by repurposing an old cupboard door which would be totally perfect for this farmhouse decor style look. I love recycled and repurposed items, so if you have access to any wood or vintage handles, that would also be a great way to bring this look together. 1. Go into your local hardware store and pick out a 10ft 1×4 board and have them cut it into eye sizes you need. 2. 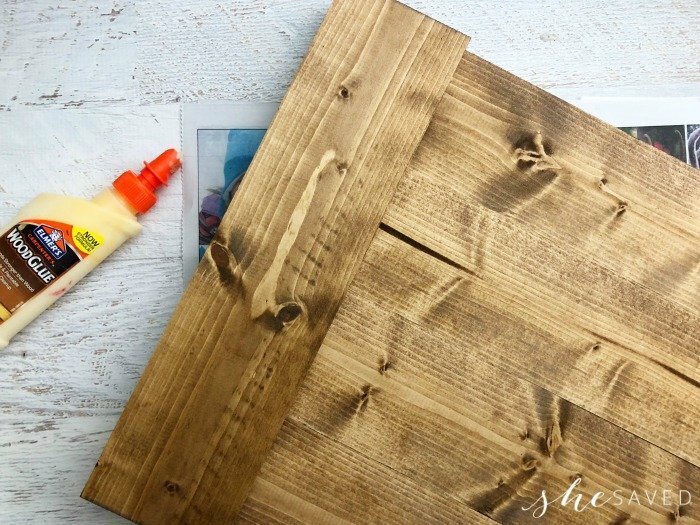 In a well ventilated area, stain the tops, bottoms and sides of your boards using a paint brush and wipe off any excess stain using a rag. You will probably want to stain both sides of your boards. I only stained one side for these photos so that I could show you the markings for the handles that I made on the backside. 3. 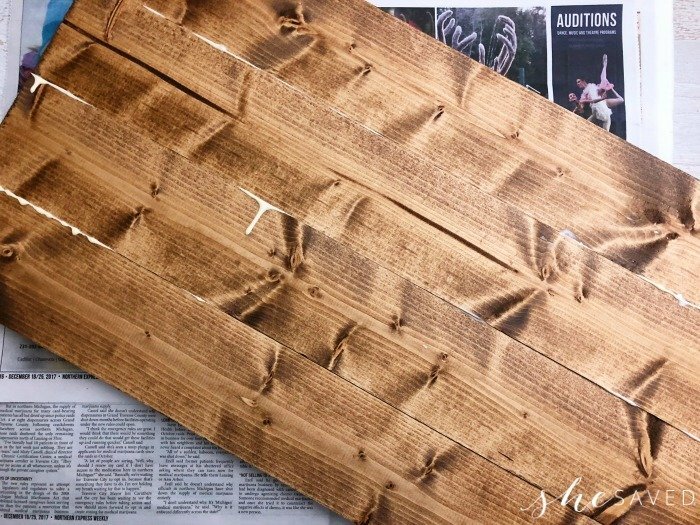 Let your boards dry overnight, glue the sides of 4-12” boards together and wipe off any excess glue with a wet rag. 4. Then glue your 2 14” boards on the vertically on the top of each end. 5. 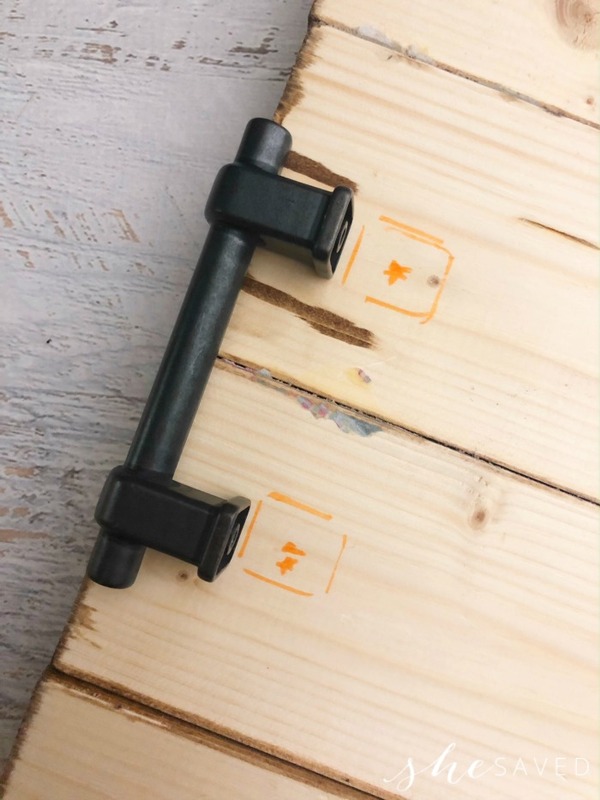 Apply a coat of polyurethane to your tray, being carefully not to knock the boards out of place and let your boards and polyurethane dry overnight. 6. Measure where you’d like your handles to go and on the backside draw 2 holes on each side. 7. Carefully drill 2 holes from the bottom side up with the right size bit for your handles. 8. Screw on your handles from the bottom to the top depending on how your handles attach. 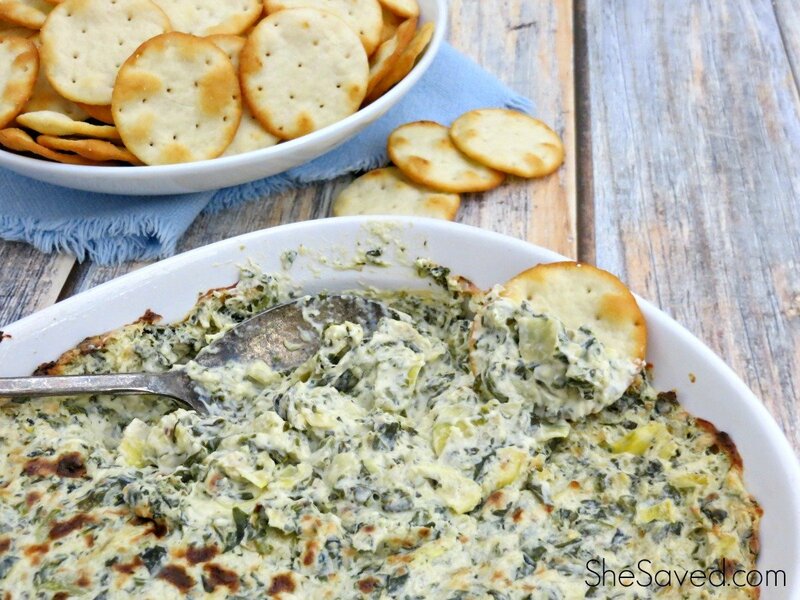 Isn’t this tray so pretty? I love the Pottery Barn-ish look and of course, you can’t beat the price! Wouldn’t it be fantastic to make this for mom or dad and then use it to serve them breakfast in bed on their special day? 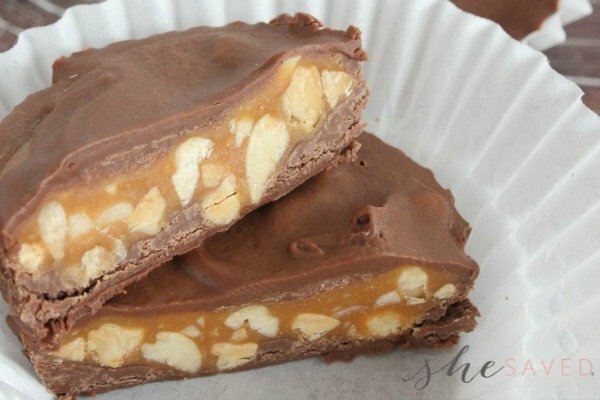 Yes homemade is always better! It sure would be nice to be served breakfast in bed and your tray is perfect for it! 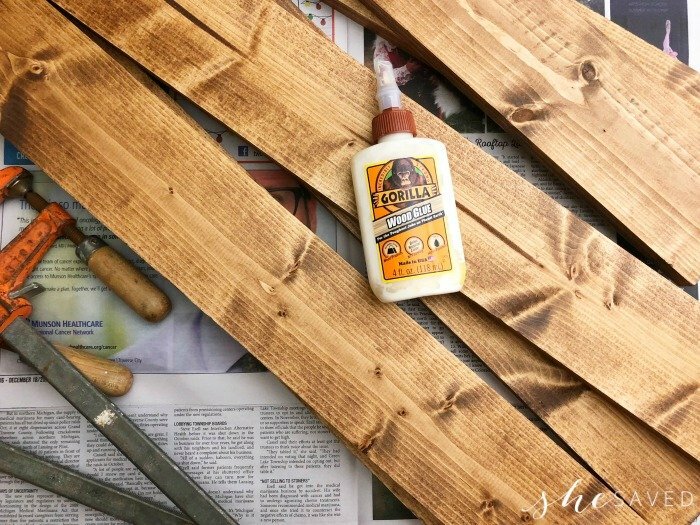 My hubby loves using Gorilla glue! He'll like this project. Thanks for sharing with us at Merry Monday. Hope to see you next week. My brother and his wife just bought a lot home this will make a nice house warming gift . Thanks so much! My sisters and I were really excited to make this tray. However, after we cut all the boards, we realized the measurements were way off. Having four 12" boards and two 14" boards did not match up to your picture, as the top boards ended up fitting on the "long" sides instead of the "short" sides in order to be nailed on across the bottom boards. We ended up needing to alter the pattern so we wouldn't waste the wood. 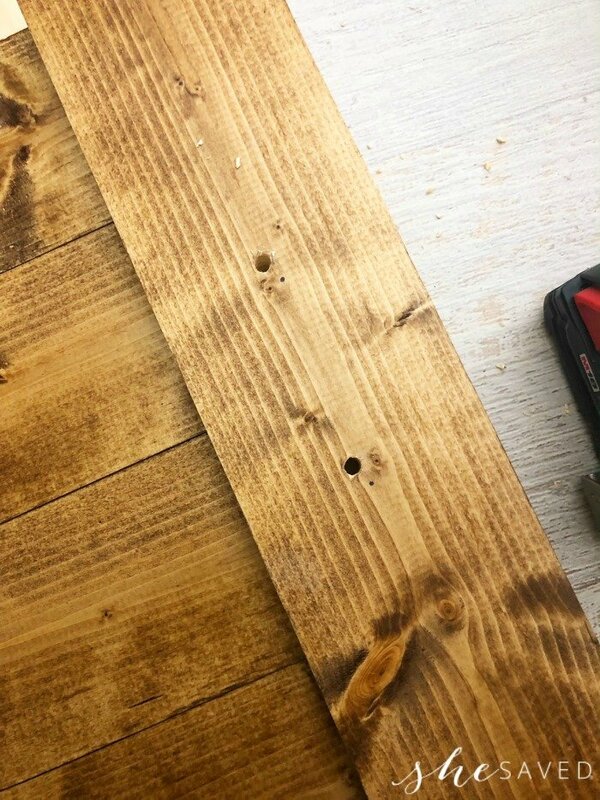 Also, in the picture, you showed 1 1/2" wood screws, but the pattern calls for 2 1/2" wood screws, so that was a bit confusing, as well. I really wanted to love this pattern, but unfortunately, it didn't work for us. Perhaps you can update the measurements so that other readers don't run into the same problems that we had.